The rules of life are different for a hero, no matter how hard he tries to remain with the old neighborhood. He’s walking like a hero along the wooden sidewalk of his little town, and then tense and dark villain music begins to play. Next thing he knows, he’s in the middle of a barroom brawl. The ground rules of his life are about to change. When you look for myth, you search for yourself. Totems or role models, larger than life or just an ordinary joe, heroes aren’t always easy to discern from their appearance. Of course, in novels the hero is ineffably charismatic and male, and on the silver screen he usually sings, too. Of course, he also shoots well and looks great on a horse. How to save the day, wearing high-heeled cowboy boots and spurs? 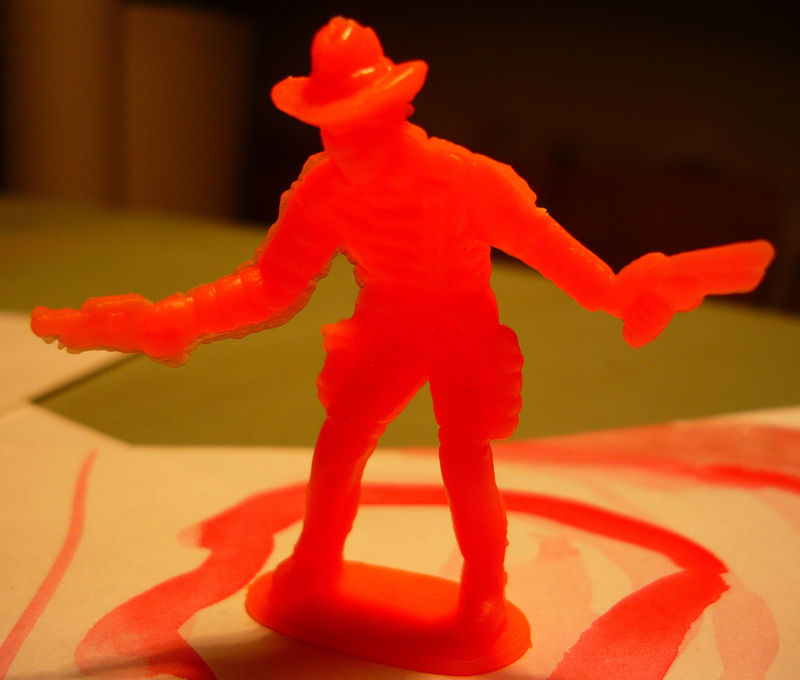 The cowboy movie is the American ritual re-enactment of the hero quest. Return to the people, who won’t listen anyway. In the Mascot series’ Phantom Empire, twelve episodes of the worst Western ever made, the greed is personified by outsiders–non-ranch people. As the conflict takes shape, the Junior Thunder Riders describe their spiritual vision of the Valkyrie-like Thunder Riders to the radio audience, and the archetype roles get handed out. The conflict is either the takeover of Radio Ranch by greedy uranium prospectors or the death by design of the kids’ father. Gene Autry is framed by the murderer. 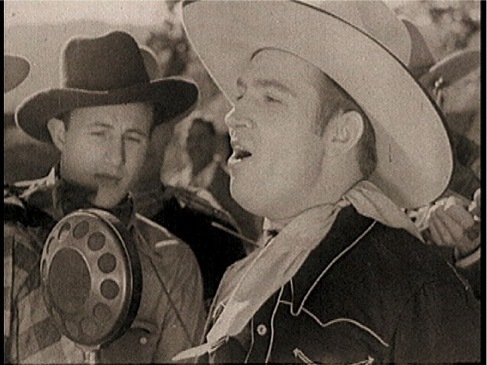 If he misses singing on one single daily broadcast, he will lose the contract…and Radio Ranch! The Hero, resplendent in singin’ cowboy clothes, reveals a lot of Trickster characteristics in order to get his singin’ spot every day, but the real clowns are two of the ranchhands and band members. They do the slapstick and farce, leaving the Hero with his dignity as well as the starring role. Cowboy movies illustrate the eternal cowboy. People can see the role model right in front of them–the archetypical Hero. The snorting, lunging horse and his skilled rider riding through a land of strange rock cliffs and ferocious vegetation. The birth of a legend. Blindness is a common characteristic in the first part of the hero’s journey, and it is referred to twice in the first six episodes of this awful Western series. 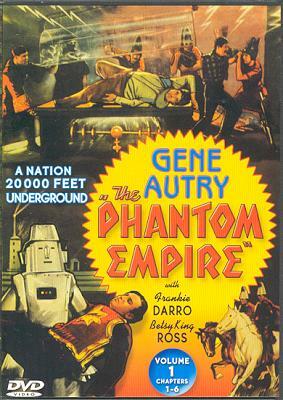 Gene Autry substitutes himself for a villainous underling while the actual underling staggers around the desert. The underling is presumably left in his long johns, because Gene borrows the airman’s bulky coverall to aid his disguise. The underling, who is the uranium prospector’s pilot, is blinded by tear gas when the two ranch hand clowns dose all three of them with tear gas canisters. In another vision-related incident, an underworld subject, a Muranian man, is blinded. Blindness symbolizes being born. The first part of the Hero’s journey is Birth. Sometime in the 60s, a feeble attempt was made to combine the 2 genres.